Weeks after my second child was born, I was in the throes of a horrible postpartum depression. 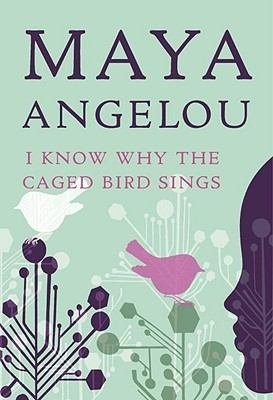 Something motivated me to pick up a copy of I Know Why the Caged Bird Sings, the memoir of author and poet Maya Angelou. In the book, Maya shares about growing up in racially segregated Arkansas and how she learned to look past the color of other people’s skin. I read the book while my infant daughter nursed in my arms. 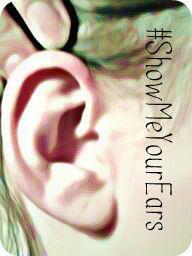 My hearing loss progressed after I delivered my baby. It really scared the heck out of me that one day I would probably re-enter the workforce. How would I be able to hear my employer, fellow employees, clients, and even the office phone when it rings? It stressed me out to think that I would have to lip read at office meetings when more than one person is talking at the same time. Or that special accommodations would need to be made with my phone so that I could hear the person speaking on the other end. How business-savvy would I appear when things frequently had to be repeated to me? Would I make a fool of myself the first time someone asked me a question and I had no idea what she just said? Worse yet, how would I hear my newborn child’s cries? While still affected by postpartum depression, those words motivated me. For days and weeks, I held my baby in one hand and wrote my feelings in a journal. Within six months, I had gotten medical treatment for the depression, and the writing flourished. The “get it out” part meant being honest about my fears. My words turned into stories, and the number of stories grew. Eight years later, those stories became my memoir, Confessions of a Lip Reading Mom. While the postpartum depression had wrecked havoc on my emotions, the “get it out” words brought glimmers of hope. Those words came from Maya Angelou. The beloved author overcome the power of racial prejudice and fear through her words of faith and love. Somehow, I, too, would make it through my fears. Wonderful story about a great lady by a great wife and best friend. I’m so glad you learned to journal and followed the example of Maya Angelou. She will be missed. Yes, she will. Heaven’s gain. Your book is in my Kindle. It is next on my list. I can’t wait to read your story.